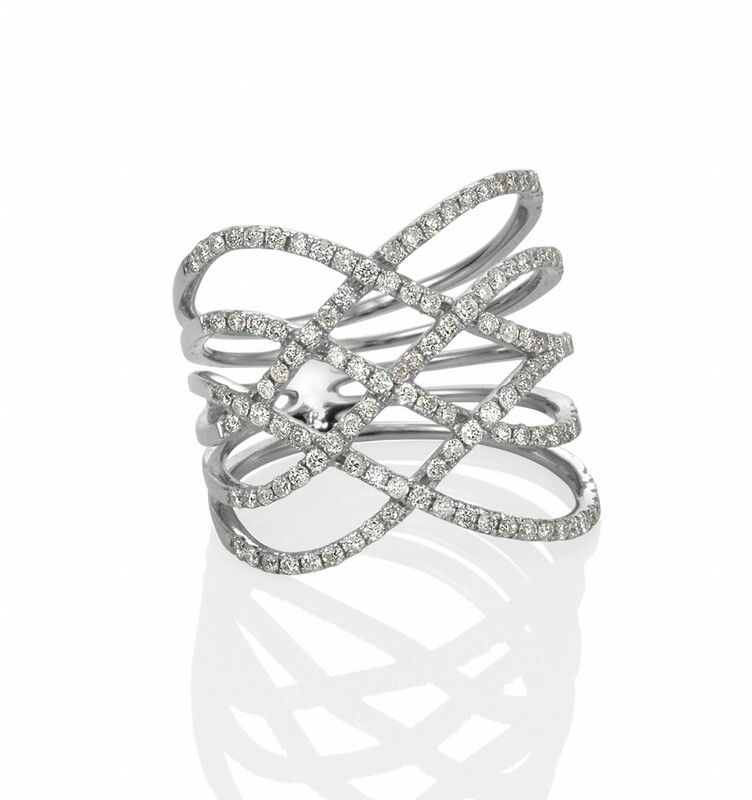 The White Gold Geometric Barcelona ring criss crosses over the finger. The geometric patters echo elements of Gaudi architecture with its lines and forms. 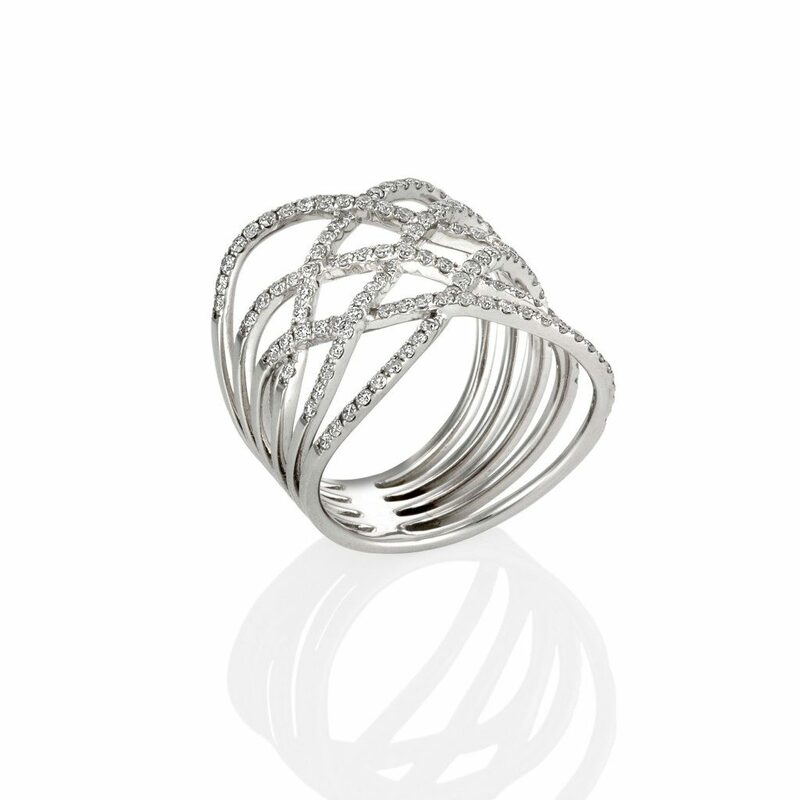 With nearly 1.00cts of Brilliant Cut Diamonds this ring hugs the finger with elegance and sophistication easy to wear for any occasion.